Remini’s program spews hatred rather than providing honest information. It has resulted in actual threats of violence against my religion by people who said they were goaded into criminal action by her message. 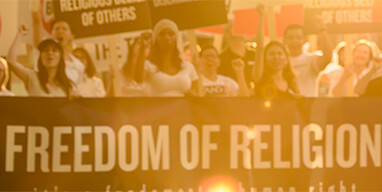 The Leah Remini show, which you have sponsored through your ads, denigrates the Church of Scientology and is an affront to human rights and religious freedom, both guaranteed by American secular powers. May I remind you that both the United Nations Universal Declaration of Human Rights and Amendment I to the US Constitution guarantee freedom of religion. You of course have a right to an opinion about this, however, you are not just expressing an opinion when you advertise; by your advertising dollars, you are promoting an attack with lies and spite on the faith and beliefs of millions of members of my religion. This is called hate speech, and it is not an acceptable, socially responsible action. There are laws against hate speech. One wonders if you are legally liable for inciting any violence resulting from your support of Remini’s show. I recommend that you immediately terminate any association or consideration whatever with A&E Networks regarding the Leah Remini show. It may not save you from all the consequences of promoting lies and hate, but it would certainly count toward making up the damage caused by spreading these for profit.